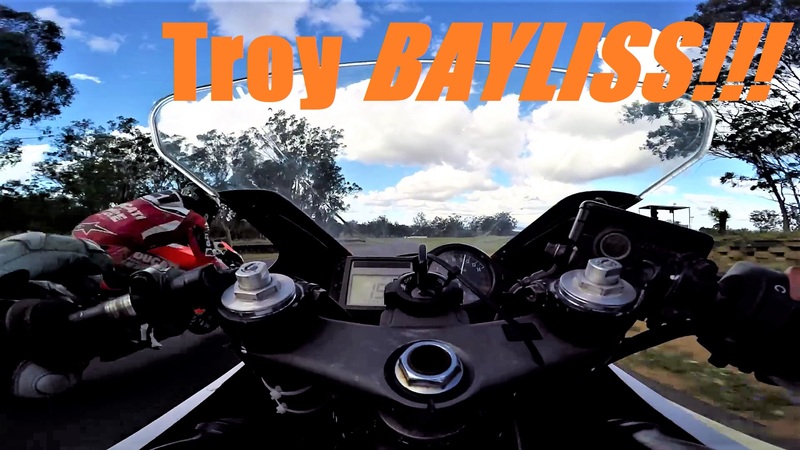 I got smoked by Troy Bayliss! Guess who happened to be riding around at my track day? You guessed it, Troy Bayliss! Check out the video of me trying to keep up with him in vain on Project CBR. Troy was on the back wheel as he went past lol. Those guys are completely on another level than us mere mortals. I got smoked once on a track day at Oran Park by none other than 500cc legend Garry McCoy, 3 corners later and he was completely gone. Yeah he’s next level, his change of direction through the chicane is insane. The extra power he had on the straight is ridiculous too. Funny you mention Gary McCoy, he was riding at Morgan Park last weekend with a mate of mine. Still bloody quick by all accounts!